This first CBJ hymn represents the purpose of the CBJ mission and website – helping us have a walk that is …”Nearer My God To Thee”. 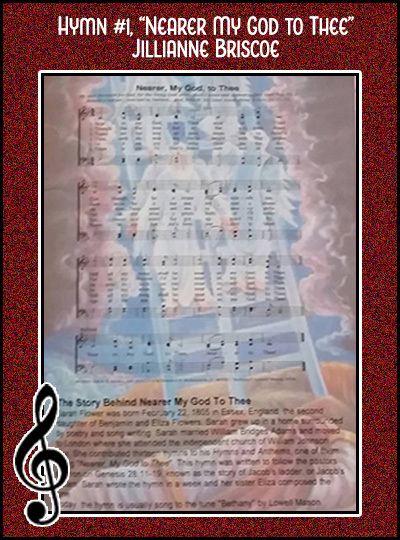 Color and reflect the great Hymns of the Church each week, in a hymnal of your own, order one at the bottom of this page, or print out sheet music from the internet. Enjoy! This hymn is about the joy and comfort found in being close to God. It is a 19th-century Christian hymn by Sarah Flower Adams, which retells the story of Jacob’s dream. The second through fourth stanzas are based on the story of Jacob and the ladder to heaven, found in Genesis 28:10-22. God’s close connection to Jacob in this story is seen as a way of relief from the darkness (st. 2) and “stony griefs” (st. 4) of his human journey. The first and fifth stanzas bracket this story with New Testament imagery of the cross (st. 1) and the end of time (st. 5). The last stanza was added by Edward Henry Bickersteth. It looks forward to the time when we will come to stand before God in eternal song. Sarah Fuller Flower Adams was an English poet, an Unitarian laywoman and hymn writer. Edward Henry Bickersteth was a bishop in the Church of England. She wrote thirteen hymns for a hymnal her pastor, William J. Fox, was compiling. One of these is “Nearer, My God, to Thee.” It was first published in London by Fox in his Hymns and Anthems in 1841. The verse was written (in 1841) by Sarah Flower Adams at her home in Sunnybank, Loughton, Essex, England. It was first set to music by Miss Adams’s sister, the composer Eliza Flower. In the United Kingdom, the hymn is usually associated with the 1861 hymn tune “Horbury” by John Bacchus Dykes, named for a village near Wakefield, England, where Mr. Dykes had found “peace and comfort”. 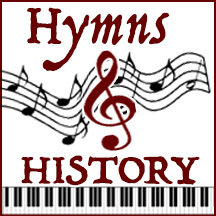 In the rest of the world, the hymn is usually sung to the 1856 tune “Bethany” by Lowell Mason. British Methodists prefer the tune “Propior Deo” (Nearer to God), written by Arthur Sullivan (of Gilbert and Sullivan) in 1872. Mr. Sullivan wrote a second setting of the hymn to a tune referred to as “St. Edmund”. Mr. Mason’s tune has also penetrated the British repertoire. This hymn has been associated with several famous people and events. It is reported to have been a favorite of Queen Victoria and her son King Edward VII of England, and of U. S. President William McKinley and his successor, Theodore Roosevelt. In her own life, Sarah Adams learned that each step we take – even the difficult and painful farewells – only draws us neared to God.